This tallit clip is designed with the most recognized Jewish symbol, the Star of David. Many people consider the tallit clip as an essential accompaniment to the tallit, especially when wearing a shawl style tallit. A tallit worn during services tends to slip and shift. 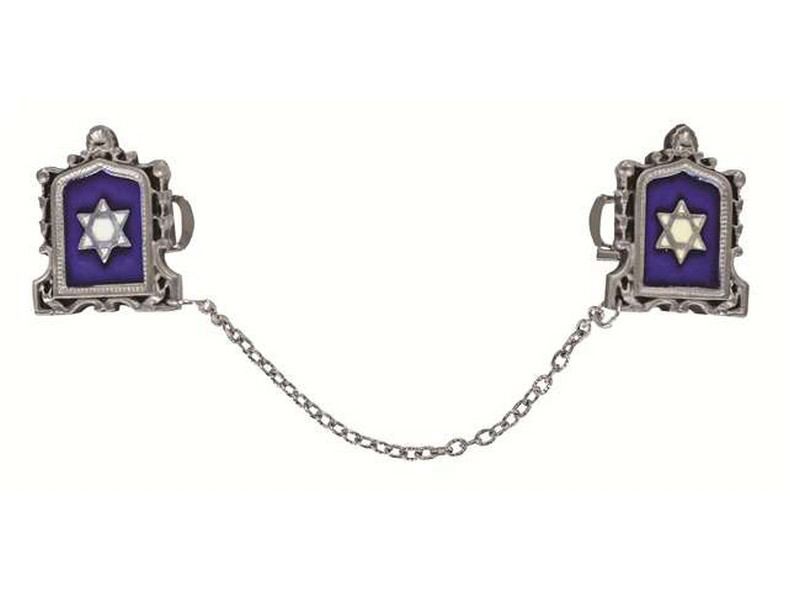 This tallit clip, adorned with the Star of David on glossy purple background, will keep your tallit in place and serve as a beautiful and classy adornment to your tallit.